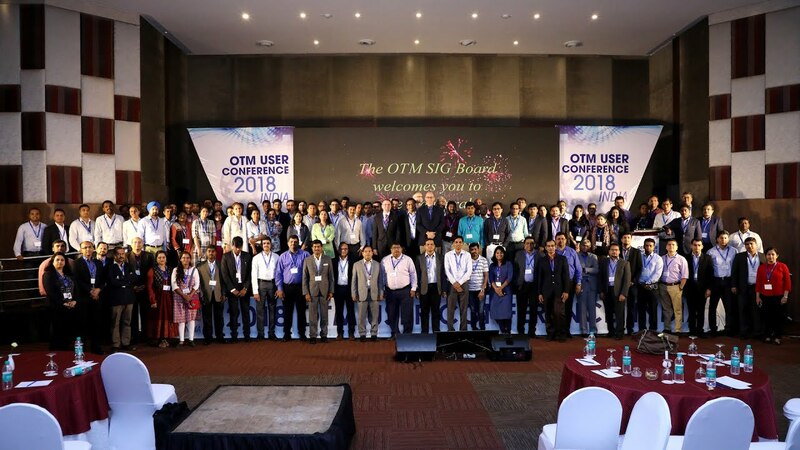 The OTM SIG Board proudly organised a OTM User Conference at India on 6-7 Sept 2018, which was the first OTM event in India. The event is designed to bring together users and potential users of the OTM software to share knowledge, ideas and experiences. Key representatives from OTM Clients/Users, OTM Strategy and Development attended this conference, and various partners in OTM's ecosystem sponsored. This conference is an addition to the yearly OTM User Conferences in Philadelpha, Amsterdam and Singapore. Abstract: The best Transportation and Global Trade Cloud solution continues to innovate and improve! Join this session to learn about current business drivers, see the current and future go-to-market strategy, and get a sneak peek at the roadmap. Come learn about advances to existing capabilities and expansion to new areas such as Trade Agreements and Logistics Network Modeling. Learn how disruptive technologies like IoT, Artificial Intelligence (AI), Chatbots and Blockchain are being incorporated to help you manage your global supply chain efficiently and keep on top of regulatory needs. Last edited by Paritosh; September 17th, 2018, 11:44. Abstract: The demand for visibility in modern day supply chains goes far beyond the capabilities currently in use by many logistics practitioners. Electronic Data Interchange (EDI), carrier portals, and other such technologies are still popular, but each has inherent limitations that will continue to diminish over time. 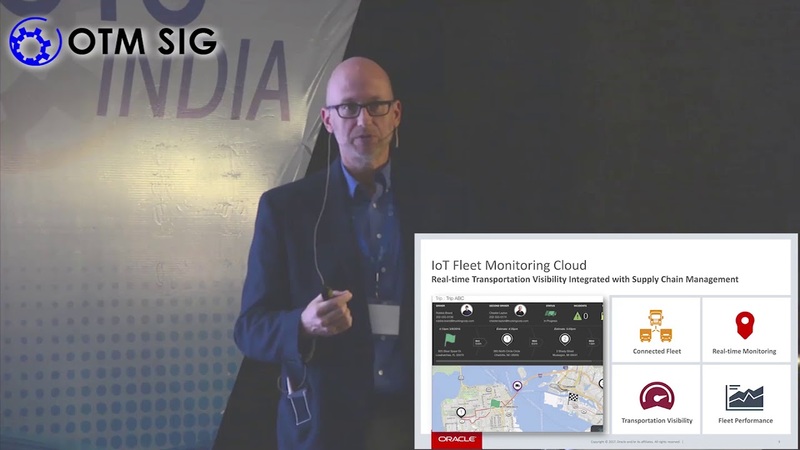 This session will illustrate how OTM Cloud and Oracle IoT Fleet Monitoring combine to give shippers, fleet operators, and logistics service providers next generation visibility, enabling them to better serve their customers and gain a competitive advantage. Abstract: The best Transportation and Global Trade Cloud solution continues to innovate and improve! Join this session to get some quick insights on our upcoming new features in areas like User Experience & Workbench, Content & Cloud Experience, Fleet, Planning, Maps, EDE, Global Trade Management and Other Technology Improvements among others. 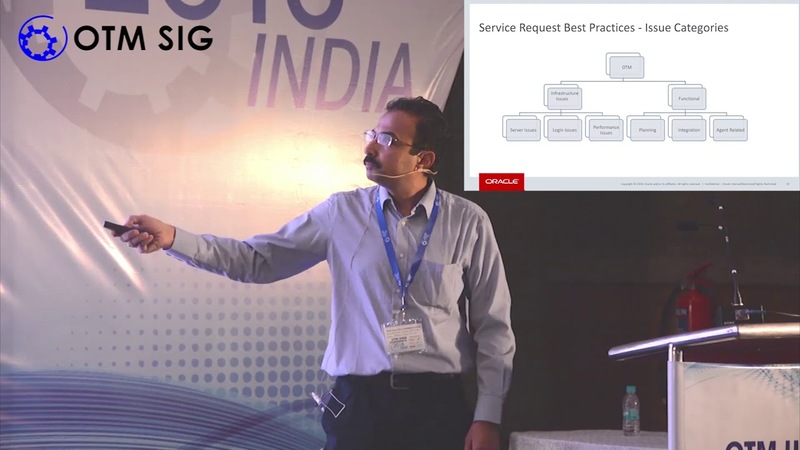 Profile Ashok: Ashok Kalidindi is Director, Product Development and leads the team responsible for Oracle Logistics Cloud product. Mr. Kalidindi is responsible for research and development covering areas of Transportation Rating, Execution, Tracking Events, Brokerage and Freight forwarding, Financial, Technical & Cloud Infrastructure, Integration and Global Trade Management. Mr. Kalidindi has more 20 years of experience in ERP and SCM software industry with expertise in product development, engineering and support. Mr. Kalidindi holds a Master of Technology in Industrial Engineering and a Bachelor of Engineering in Mechanical Engineering. Profile Sailaja: Sailaja Callore is Senior Manager and responsible for Oracle Logistics Cloud Quality Assurance in the areas of Sourcing, Fleet, Execution, GTM & FTI/GTI of the Product. Ms. Sailaja has 16 years of experience in software industry. Ms. Sailaja is Mechanical Engineer graduate from JNTU University. Abstract: In this session, the aspects of Support Processes that will help expedite Service Request resolution will be covered. We will also cover a Diagnostics review explaining the relevant diagnostics/logs to debug various product issues both on OnPremise and Cloud Instances. 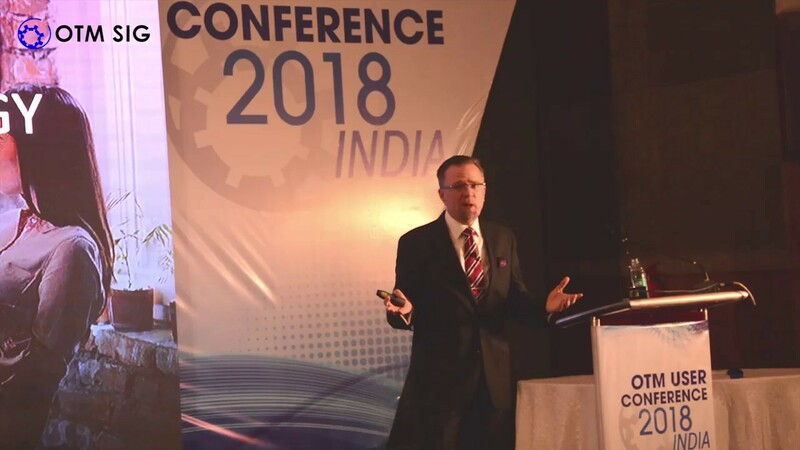 Abstract: Kuehne+Nagel India Reverse Logistics has not been a mature segment to provide it to the customer. Since Kuehne+Nagel is an asset free organization we trend to depend on third party vendors for the visibility of reverse logistics. Though they provide the alternatives but they are high in cost and low in actual visibility. 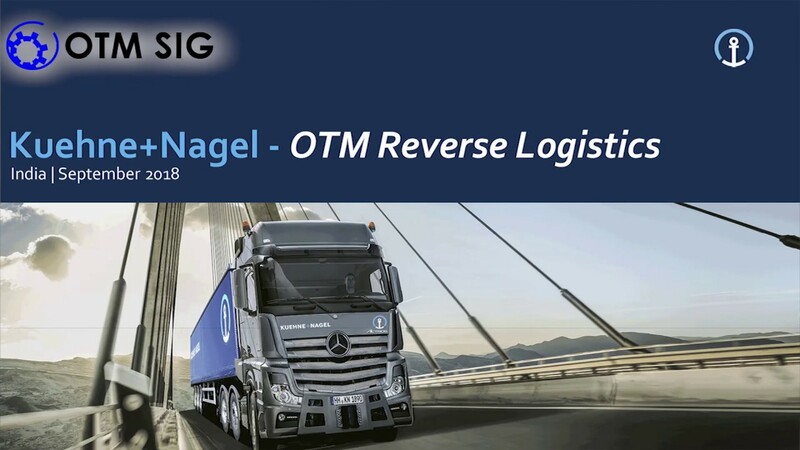 So Kuehne+Nagel India has come up with a complete work package for Reverse Logistics providing End-End Visibility to the customer with Optimal Vehicle Utilization at a reasonable price using OTM Reverse Logistics Parameter. Profile Sagar: Sagar has 7+ years of experience in IT industry and implementing solutions using OTM (Oracle Transportation Management. Implementation and support project support experience and worked on customizations of out of box features in OTM. Profile Athmanathan: Athmanathan.G has total 8+ years of experience in Logistics Industry - Warehousing & Distribution with multiple implementations using OTM (Building Custom Solutions) and Tableau (Custom Reports & Big Data Analysis). Abstract: RPA continues its upward journey through an increasing number of automations in organizations, enabling users to deliver higher value jobs, and increasing efficiency of the repetitive tasks. While we see a natural adoption is specific areas of finance and reporting, automation through RPA in logistics is still developing. We in Unilever, have been able to implement RPA in core business processes, that impact our daily operations. In most such cases, OTM being our standard tool for transportation, has been at the foundation of it all. RPA has helped us to cater to multiple geographies and processes that span across multiple systems: SAP and OTM. This has streamlined and fast-tracked operations, advancing our vision of No-touch planning. Profile: Sakshi Kachru is a delivery manager with the Make and Deliver IT platform within Unilever. She has been in the organization for more than five years, and worked across areas of Service management, project delivery and RPA implementation. In her most recent roles, she was responsible for OTM implementation in South East Asia, and for delivery of RPA solutions across the globe for transportation. She holds an engineering degree from UP Technical University, and an MBA from NITIE, Mumbai. Abstract: Join this presentation to experience our journey of implementing OTM with a digital boost, for a 3PL. The solution implemented was for the ecommerce operations handled by our client for multiple customers including an iconic furniture and home furnishing retailer. The project is part of a larger implementation which covered Import, Store transfer and delivery to retail customer. The customer delivery process also included planning and recording installation activities. Project successfully went live with OTM on Cloud along with various digital components including Mobile app. Mobile app solution for them includes address validation, customer bookings on mobile app, assignment of drivers, cash on delivery and several other first/last mile features. While few of them are already live, others are planned for subsequent phases. Innovative approaches for customer reach like chatbots are in the process of being developed for upcoming phase. These chatbots are integrated with OTM and help consumers with easy track and trace and other features. With the increase in ecommerce business and online shopping, both shippers and 3PLs are focusing on gaining efficiencies in the first/last mile scenarios. 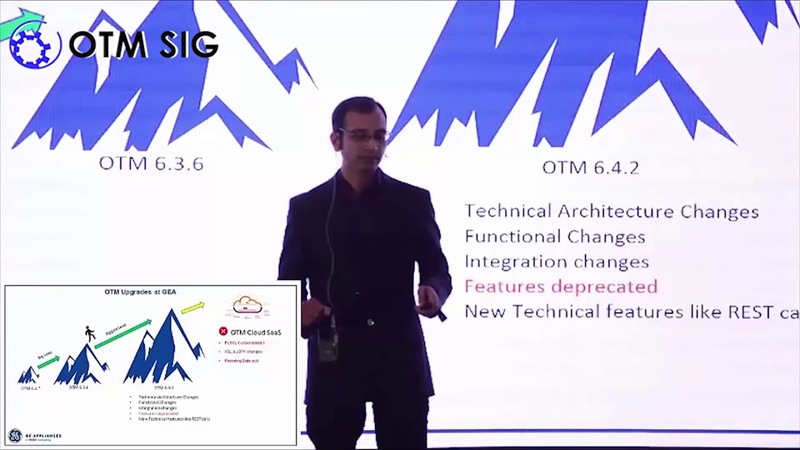 This presentation will help provide detailed insights of various challenges and how those were handled in OTM on cloud, with our digital boost. Abstract: Unilever believes in sustainable development goals with reduction in Carbon footprint. Dynamic clustering with HERE map is the planning technique adopted in Unilever where real life geographical constraints are being considered to build multi stop shipments. It provides most optimized shipment in terms of Load, distance covered, accurate route planning and in turn reduced CO2 emission. Recently it has been implemented in the frozen business of Philippines where business can foresee a tremendous benefit with 10% optimized shipments, 20% reduction in time, fuel consumption and an expected cost reduction of over 20%. Thus, dynamic clustering will create a win-win scenario for both Unilever and the service providers and make a greener and faster transportation landscape throughout the world. Profile: Suhel is a Senior IT manager with Transportation management within Unilever. He has been in the organization for more than eleven years and worked across areas of supply chain. In his most recent roles, he was subject matter expert for OTM implementation in Asia, Africa, Russia, Masreq, Magreb and Australia. He holds an engineering degree from National institute of science technology, Orissa and did EGMP from IIMB. Abstract: OTM 6.3 to 6.4 is a huge leap. Oracle has changed the every single user click for the application, and also from the Technical & integrations perspective there are huge number of changes introduced. From Integrations perspective there are few key areas need to be looked into before upgrade. Every OTM upgrade comes with massive list of new features. We will share the best practice for OTM 6.4.2 upgrade & how to leverage the new features. Profile: Paritosh Mangrulkar is working as OTM Project Manager & Architect at GE Appliances. Experience in Logistics & Warehousing applications. Implemented OTM in 2011 with Legacy integrations and in 2015 with EBS integrations. Profile: Ashlesh has over 10 Years of management consulting, project management and solution architect experience across industry verticals such as manufacturing, FMCG and retail sectors. He has managed the large transformation programs for Fortune-500 enterprises and led delivery and key solution service offering in warehouse and logistics domain. His significant contribution to build go-to-market strategies on emerging technologies and create a quantified value proposition which has resulted in revenue growth for the accounts he has managed. Ashlesh has successfully delivered more than 8 E2E projects with Oracle OTM as a technology which includes providing solution blueprint, fit/gap analysis, functional configuration, estimates, solution write-up and presentations. Abstract: HERE is the only supplier of current, off-the-shelf global content that provides geographic data conforming to Oracle standards for geocoding, mapping and routing. It uses Oracle Spatial & Graph for managing and processing the HERE Map data. HERE Location Services come preconfigured and pre-integrated into Oracle Transportation Management (End user/integrator adds license keys, URLs). Can be used with OTM Cloud or OTM On premise. Profile: I am Shivendra Pratap Singh working as Lead Technical support at HERE Technology. I have more than 17 years of experience with different GIS and mapping organization. I am currently responsible for supporting HERE customers with HERE SDK, APIs and HERE Map & Contents.